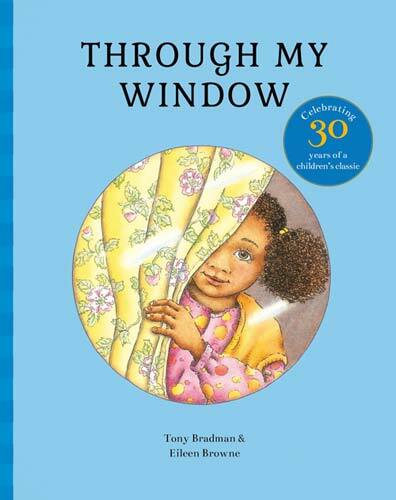 I am delighted to welcome author Tony Bradman to MWD to celebrate the launch of the 30th Anniversary edition of his much-loved picture book Through My Window. We will be talking about it here as well as a few of his other books. Only a few, because Tony definitely comes under the heading of prolific writer. Since his first book was published in 1984, he has written across genres and age groups, and I suspect that practically every child in the UK has read and enjoyed something he has written – whether it’s the best-selling Dilly the Dinosaur or After Happily Ever After series for early readers; one of his many collaborations with illustrator Tony Ross (The Orchard Book of Sword Sorcerers and Superheroes was a great favourite when my sons were small); or his sci-fi, football or historical fiction for older readers. 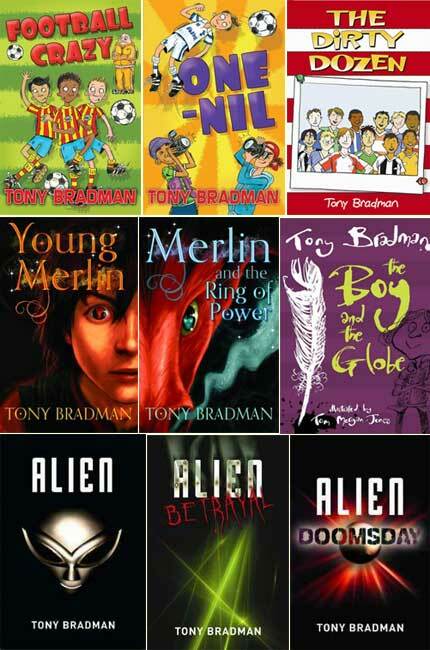 Over the years Tony has also compiled and edited a number of fine anthologies of new writing encompassing topical themes and showcasing a diverse array of some of the UK’s finest YA writers. He has been involved with the Project X whole-school reading scheme published by Oxford University Press since its inception. And in the last few years he has co-authored a number of books with his son Tom Bradman. Welcome, Tony, and congratulations on Through My Window‘s 30th Anniversary. How does the book’s longevity feel to you? It only feels like yesterday when I worked on the text – and at the same time it feels like a lifetime ago! 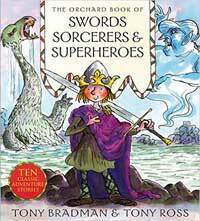 I’m just pleased that the book has given pleasure to lots of children for a long time – that’s the best you can hope for as a writer. The story was actually illustrator Eileen Browne’s idea. Can you take us through how you became involved in the project? I had met an editor called Janetta Otter-Barry (now something of a legend in her own right!) and worked with her on a number of books – this was right at the beginning of my career as a writer. Janetta had met Eileen and really liked her style of illustration, and wanted to do a picture book with her. Eileen had drawn a lovely picture of a little girl looking through a window, but hadn’t come up with a story. So Janetta asked me if I could come up with something. The idea of a child looking through a window, waiting for a parent to come home, struck a real chord with me, and the rest, as they say, is history. Apart from being a charming story in its own right, Through My Window is significant because it was the first picture book both in the UK and the US to feature a mixed-race family ‘where the story wasn’t about race or culture’. How aware were you of this when you were writing the book, and did readers react specifically to this aspect when it was first published (or indeed since)? I was very aware of this – Eileen was very keen for it to be a feature of the book. I also grew up in South London, which was a pretty diverse place even when I was young, so it seemed completely natural for me. But I didn’t want to make a big ‘anti-racist’ point in the story – I think the fact that it was a completely natural and very warm story about a mixed-race family and their diverse friends makes its own point. I was also keen to make the story about a mum going out to work and a dad staying at home to look after his daughter – at the time my own kids were very young and I was keen to be a dad who did his share of parenting. And yes, reviewers and readers did comment on all this – it was clearly a book in which a previously rather uncared-for audience could see positive images of people like them. You and Eileen Browne went on to collaborate on two more stories about Jo and her family – In A Minute, which might just make parents think twice about fobbing their young children off with that particular phrase (though I still use it with my teenagers! ), and Wait and See. What, for you, is special about these books? It was lovely to write some more stories about Jo – I think she’s a great character! I also liked writing stories about urban family life that were fun. I often read all three books on school visits, and there’s a high level of recognition for the situations among the kids – especially when I read In a Minute! Looking back over the last 30 years, how has the children‘s book world changed for you as a writer? What have been your biggest highlights/ most memorable moments (I suppose they are not necessarily the same thing!)? That’s a big question! I think there have been several huge changes – the decline of libraries and independent bookshops – still there, but under threat; the rise of digital in all its forms, i.e. computers, tablets, phones, e-books – when I started it was all manual typewriters and paper; and a complete shift in the publishing world. The children’s book world was very cosy and traditional when I started, and the dominant areas were picture books and beginner readers. Now it’s YA and books that get turned into movies… and the business itself is just the same as every other area of the ‘entertainment industry’. That means it’s tougher and far more competitive for writers – we all have to work hard to promote our books too (festivals, school visits, social media). But on the other hand more books are being published and read than ever before. I have many personal highlights – I’ve loved doing all my books, and to a certain extent I’m just glad that I fulfilled my ambition to be a writer – and I’m still doing it! Do you think there is greater awareness of diversity in main-stream publishing, and is it something you take into consideration in your own writing? I think there’s been an awareness of diversity for as long as I’ve been involved in children’s books – in fact it was constantly being discussed when I first got started in the 80s, although that was generally about race and poverty, and gender, but not sexuality. The drive to produce books which explore gay and trans experience is relatively recent. I’ve always taken it into consideration. In books for younger readers, especially those set in schools, I’ve always insisted that the illustrations should reflect the diversity of the real world. 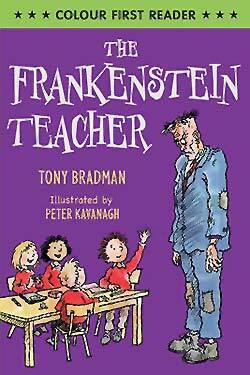 I’ve also written one or two stories that are about people being cruel to each other – in The Frankenstein Teacher, for example, the children of Class 3 are horrible to their teacher Mr Frankenstein because he’s so ugly – and they have to learn that it’s what’s inside a person that counts, not what they look like. You have written for all age groups and across many genres – and you are now collaborating on historical fiction and drama and science fiction with your son Tom Bradman. You have both written about what it’s like to write together, on your website, and you have described your latest two books as ‘among the best things I’ve ever worked on.’ Can you put your finger on why it works so well – and with Tom living abroad, does the physical distance actually help? Do you have another collaboration in the offing? I’ve always said that I started training Tom when he was young, by reading him lots of stories and taking him to see lots of great films. We have very similar minds when it comes to storytelling – we don’t always agree about everything, but we do have a very good shorthand – ‘I think this bit should be like in that episode of Star Trek, you know, the one where Captain Picard…’ and it seems to work. The distance isn’t a problem – communicating by email is fine. We’ve just done a little fairy tale for the Collins Big Cat reading scheme, which was fun, and I’m sure we’ll do something else together before too long. Tom is developing his own ideas too, so watch this space. 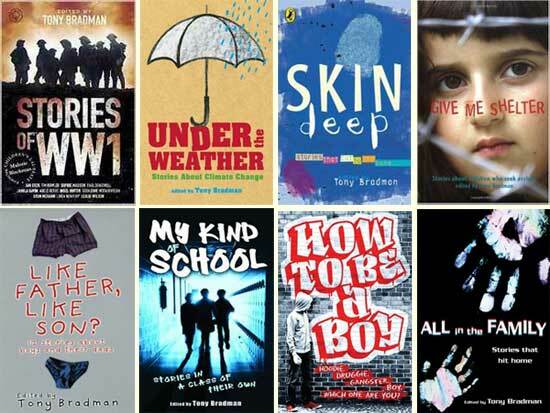 As well as your own writing, you have edited a goodly number of excellent anthologies of new writing that touch on many areas of young people’s lives, like family and school as well as issues such as racism (Skin Deep), refugees (Give Me Shelter) and climate change (Under the Weather). In your introduction to Skin Deep you said the following: ‘Whatever colour your skin is, whatever your background or beliefs, I’m sure you’ll find stories and characters in these pages that will move you and make you think.’ The combination of these two attributes is very powerful and, I think, characterises all these anthologies. After you’ve had the initial idea, how do you go about gathering the stories and ensuring that they collectively embrace diversity? Over the years I edited as lot of anthologies and got to know a lot of writers – I also learned a great deal about what makes a good story, which was enormously useful for my own work. With each anthology I’ve focused on a theme and written a brief to guide contributors, and I always look for exactly those qualities in the stories. I do believe that a good story should move you and make you think. Your latest anthology, published in 2014, is Stories of World War One, and brings together an impressive line-up of authors. What is special, for you, about this book? I was born in the 1950s and my childhood – like everybody else’s at that time – was over-shadowed by WW2 (both my parents were in the services, my dad a sailor, my mum a Wren). Then in the 1960s there was a huge upsurge of interest in WW1 – the 50th anniversary was in 1964. I studied Wilfred Owen for my English Literature A level, and by then I was deeply interested in both conflicts and history in general. So by the time the centenary in 2014 was looming I was very keen to do something myself. I wrote several books set in WW1 with Tom, among them My Brother’s Keeper (shortlisted for a Young Quills Historical Association Award). 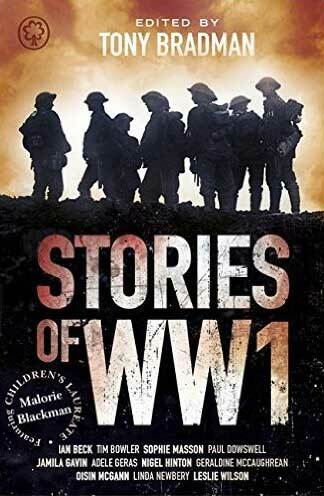 But I always knew I wanted to do an anthology too – it seemed an excellent way for young readers to find out about the war. I wanted the stories to cover as many aspects as possible – the front line, of course, but also the impact on families, and the experiences of the other nations – hence the story set in Berlin in 1918. I was very moved by the stories, and deeply impressed by the way in which the writers responded to the subject matter – many of them based their stories on things that had happened to members of their own families. I did a lot of events and school visits to promote the collection too, and was very moved again by the response of children. So all in all, it was a very special experience. 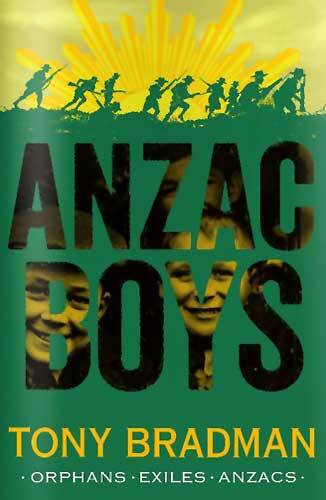 Another of your books set in the First World War is Anzac Boys, about two young orphaned brothers who are separated after being shipped off, both supposedly to Australia (the younger Frank ends up in New Zealand). You allude to the fact that the story comes partly from your own family background. Could you tell us more about that? Was it a family story that you grew up with or did you find it out through deliberate research? Yes, it was a family story – my mum often talked about her dad, and how he had been packed off to Australia at a very young age, then returned to Europe as an Australian soldier, an ANZAC. I also knew that his younger brother had been sent to New Zealand, and I just did the thing that writers do – I asked the question, what if they had been sent off together and then separated as boys, and then met again for the first time on the battle-field? Interestingly enough, the Australian government released all the Anzac soldiers’ war records online just after the book was published (as part of the Gallipoli centenary), and I was able to look up my grandfather. I found out a lot I didn’t know, and it was a very strange and moving experience – he died in 1946 so I never met him. 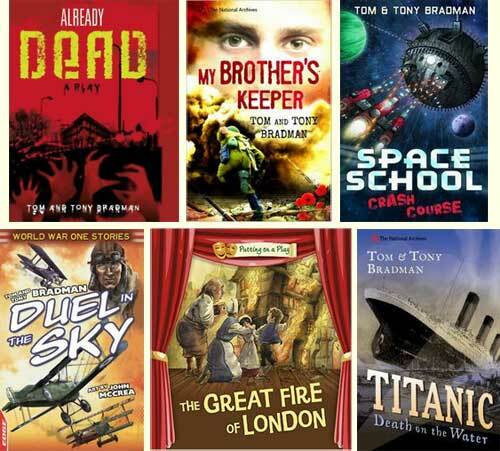 Anzac Boys is published by Barrington Stoke, who specialise in books for dyslexic children and reluctant readers; and indeed you have contributed a number of titles to their list. 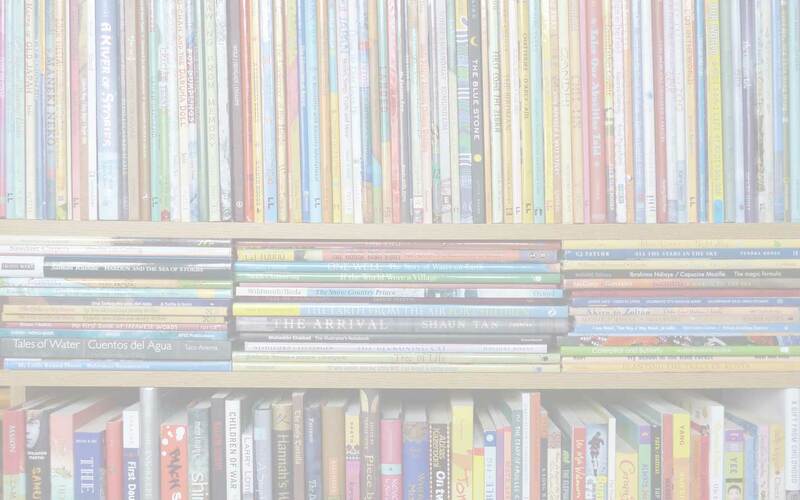 You have also been involved since its inception with OUP’s Project X Reading Scheme, which is aimed especially at boys and includes a dedicated series (Project X Code) for children with special needs who require reading support. I can imagine, but can you tell us how it feels, knowing that your writing is helping young people to pick up a book and enjoy reading? It’s great – I really like the idea. Both Barrington Stoke and OUP go to great lengths to make their books work for their target audiences, and it’s been a lot of fun working with them. The secret is to make sure that you tell a really good, gripping story – the language can always be adapted! 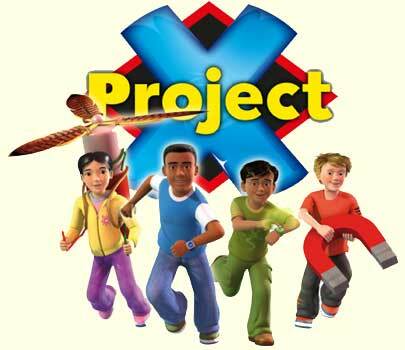 For me, the Project X series is notable for the ethnic diversity of its main characters. Are you aware of this aspect when you are writing the stories? It was always built into the characters – OUP wanted to make sure that the mix represented a properly diverse group, which is the way it should be! Everybody should be able to see themselves reflected in some way in the books they read. Away from writing (and it’s hard to believe you ever do get away from it! ), what do you enjoy doing? Ah yes, that’s a bit of an issue at the moment – I’m not getting any younger, and I’m under instructions to slow down a bit! I like spending time with my family… going to the theatre and cinema… watching rugby matches… going on walking holidays and city breaks… trying to learn other languages… and READING! I have a heap of about 80 books to be read, and always have one on the go. What books do you have coming out soon and what are you working on at the moment? This year is all about Shakespeare (because of the centenary). I have two books about him coming out, both from Barrington Stoke – the first is called The Boy and the Globe, and comes out in March; the second is called Master Will and the Spanish Spy and comes out in August. Egmont are re-launching their Banana Books as Reading Ladder, and re-issuing seven of my titles, as well as Dilly the Dinosaur, which is also 30 years old this year. I have a new Reading Ladder title coming out too – it’s called Who Will Marry Prince Harry? There are several other things in the pipeline – a Flashback for A&C Black (currently called Revolt Against The Romans), and a sort of follow-up to my Walker novel Viking Boy. This one is called Magnus, and is a story set at the time of the Battle of Hastings. I’m about to start a new book soon, and I’ve been thinking about what else I’d like to do – probably some longer historical fiction! So it doesn’t sound as though there’s going to be much slowing down, then! Thank you, Tony – just a few more questions in the MWD Spotlight before you go! Probably reading George Orwell’s books about the working classes – about 40 years before my time, but lots of similarities to my family. Paper – but I do have a Kindle for holidays. Both! But on different holidays. Notebook – I do lots of planning. Two photographs – one of my wife when I first knew her, and one of my children. Can’t think of anything… I don’t have any secrets! A&C Black, All in the Family, Anzac Boys, Barrington Stoke, Eileen Browne, Frances Lincoln, Give Me Shelter, In a Minute, Janetta Otter-Barry, MWD interview, My Brother's Keeper, Oxford University Press, Project X, Skin Deep, Stories of WW1, The Boy and the Globe, The Frankenstein Teacher, The Orchard Book of Sword Sorcerers and Superheroes, Through My Window, Tom Bradman, Tony Bradman, Under the Weather, Wait and See, Young Merlin. Bookmark. Visit Tony's website and shared author blog, Notes from the Slushpile. Find Tony on Twitter and Facebook. 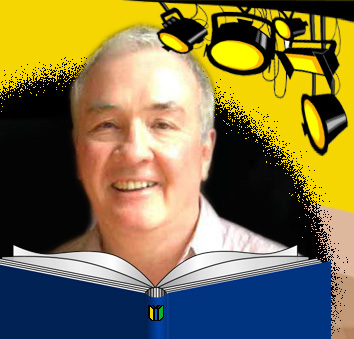 Read Tony's Guardian book reviews and articles. View Tony's Profile Page at Books for Keeps with links to BfK reviews of his books; scroll down for links to his articles and interviews. Read interviews with Space on the Bookshelf (2014), and Saviour Pirotta (2012).